As we all know, snow is God’s dandruff, a gusty gale is God’s IBS, rain is God after a night out on the town, and fog is the Almighty’s morning after hangover breath*. Despite our piece on London’s smog problems the other day, we want to point out fog is rather beautiful to behold. Even if it does smell bad. Right, so what even is fog? Believe it or not, it’s not God’s bad breath. It is, in fact, a visible aerosol that consists of water vapour that drifts in hot air. So… it’s like a type of deodorant, sort of, but without the flammable attributes and repulsive stench. Huh. You typically find fog drifting eerily through the countryside, as if it’s got a social anxiety disorder so steers well clear of city centres. Not that fog doesn’t descend on cities, it’s just urban smog is usually crammed full off pollution. Not quite the same levels of natural beauty when you’re hacking away with your lungs clogged, is it? Fog is heavily used in culture, too. Think Arthur Conan Doyle’s Hound of the Baskervilles. Or a Charles Dickens novel or two. It’s got a big old role in some prehistoric art, too. And by prehistoric, we mean the 19th century. 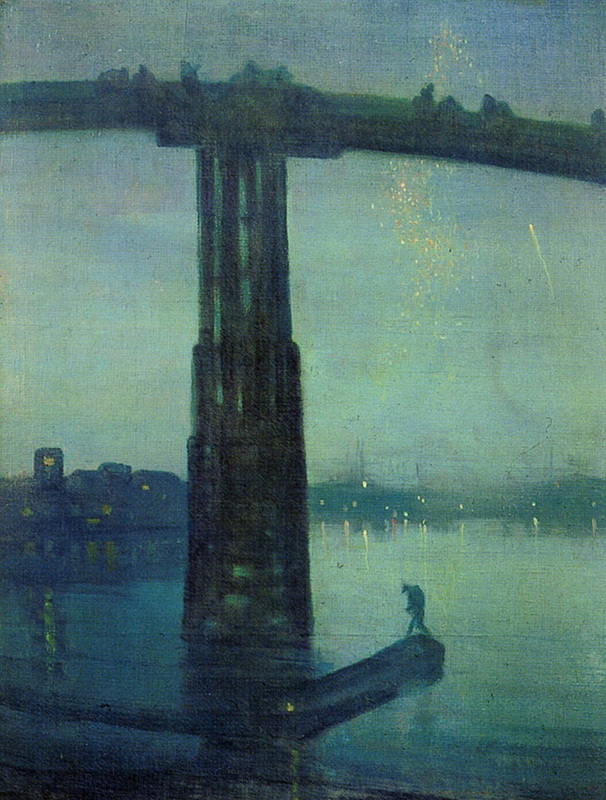 Check out Nocturne Blue and Gold – Old Battersea Bridge by American artist James Abbott McNeill Whistler. This thing “went live” circa 1872. Think of any romantic, horror, or whatever film that wanted to ramp up the drama, too. Who you gonna call? A fog machine production company. Yes, it works particularly well with eerie sci-fi flicks such as Alien. Not just Ridley Scott films, though, we mean… it can work in anything. Heck, Love Island should drag it in to beef up the show. So if you want to make a particularly dramatic scene when, say, heart-throb Harry finally gets to kiss beautiful Barbara, turn the fog machine up to 10 and get those two nauseatingly romantic fools coughing and spluttering all over the place. Either that or they fall over as they can’t see anything. Hah! Young love?! In your face! Finally, if you want to find out more about fog, there’s the 1980 horror film The Fog. This was one of John Carpenter’s less successful horror jaunts. Hardly up to the levels of 1982’s The Thing, but its B movie high concept was inhibited it before it even went anywhere. Although not all fog is terrifying and out to kill you, it’s nonetheless daft and entertaining in its stupidity. Previous FAQs – Blobs: What is blob and can it unblob? Interesting post! However, it looks a bit foggy. Guess I’ll get my eyes checked. This post is best read with a fog machine blasting fog into your local vicinity. Well done for managing that in advance. I’m delighted to see Fog getting the attention it is long overdue. I esp love the first link but why does my better half insist on watching “The Fog” over and over? What bit is your better half? I’d class my better half as my left knee. It’s really great! As for The Fog… not a good film, really. The Thing is much better and there’s a fair bit of fog/mist in that. It is rather scary, yes. Is it a thing? Or not a thing!? Is the thing the thing, at the end of the thing? I gets inside a perfectly fine person and they become a thing, a thing that is so horrendous and it spreads from one fine thing to another and you never know who have the thing inside. Okay, but what about Mr. Levon Helm’s version? The Thaaaang? Yeah? Up On Cripple Creek etc. Take a Load of Fanny! I meant to say “it” gets inside, not “I”. I’m not the thing. You’re not the thing? Sorry, I can’t take that without paranoia setting in. Where’s Kurt Russell, or any Band members with big beards, to step in and help? Oh, hell, I am the thing. No one can help. Robert E. Lee can. Virgil quick, come see. That was the night they drove old Dixie down. Tears. Yeah, right here, I had to check the video to make sure of the lyrics – verbatim! The studio version is even better, really, geezer. I was there that night and so was Levon, and Joan. It was frightful, we had to grab our sheets and run. I was not there that night. Or any night. Although I was a Knight in Shining Amore. Yeah!? No, I’m not romantic. I see what everything means. I think. Maybe. I have man flu, I’m not really sure what’s going on today. Sending chicken soup via Royal Mail.